Chronic fatigue really isn’t an everyday sort of “tiredness”. Its insidious and deep, it floors you before you’ve even got started on your day or upends you just as you were about to get going, leaving you weary to your bones and unable to think straight due to brain fog. 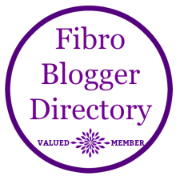 It was a big factor in the early fibromyalgia years for me and, for no immediately apparent reason, really hit me again between October and December of last year. Some days, I really struggled to get going at all or would crash utterly straight after lunch, regardless of what I had eaten (and I did experiment with that just in case). On top of struggling energy levels, I felt mentally exhausted and in brain fog such a lot of the time, like all the sharpness had gone out of the picture. I was haunted with low-level vision issues that made everything seem a little more woolly than usual, was squinting to see properly even with my glasses on. When all this happened from September onwards, I suspected major changes in my hormones (being a woman “of that certain age”) and I also strongly suspected my thyroid gland was feeling more out of whack than usual but the degree to which inexplicable exhaustion kept swooping down over me was as worrying as it was invasive of my life choices. A lot of my most cherished activities were curtailed or reduced over those autumn months and I began to fall into the cycle of feeling low and then feeling physically worse because I couldn’t seem to shake myself out of the rut I was in. When I first tripped upon a reminder about the need for “good” levels of vitamin B12 in our diet, as I periodically come across in numerous health articles, I sort of shrugged and thought I had it well-and-truly covered as I take a very potent “super” B-vitamin complex…but, it turns out I didn’t. Yes, I also knew that vegetarians and vegans are at particular risk of low levels of B12 but what I didn’t know was that the shortfall can creep up on you after two or three years of eliminating animal products – meat, fish, eggs, dairy – from your diet (I have been vegetarian for three years as of last month but still eat eggs and cheese) as the body gradually runs down stores of the vitamin until the barrel is suddenly empty. Here’s the other biggie – I didn’t know that its not only those on vegetarian or vegan diets that are at risk of the kind of chronically low levels of vitamin B12 that can topple health. Let me just say that again as its really important – vegetarians and vegans are not the only ones at risk here so listen up, if any of these symptoms apply, as this could be you. Many of these symptoms are frequently misdiagnosed as “other things” from Parkinsons to Alzheimers, dementia to schizophrenia. It can be flagged up in blood tests and yet just as easily overlooked or attributed to something else. It affects all ages groups, from seniors (struggling with unnecessarily severe physical and mental problems as a result) down to teens and young adults who are often borderline deficient in such a way that causes them to struggle with their academic studies. Standard multi-vitamin doses won’t be sufficient to address a shortfall but targeted (single vitamin) B12 doses will. Many sufferers are shrugged away by doctors or labelled hypochondriac for their broad array of symptoms, so many of them attributable to basic lack of B12. Deficiency of B12 is extremely common, if widely overlooked. Out of all the vitamins, it is described as “an oddity” and it is this quirk that makes it difficult for so many people to get enough of it, especially with modern diet. Even with a balanced diet and widely available “fortified” foods on the market, some people are still not getting enough of it because of a foible in how it is absorbed (or not!) via the gut. Because it plays a role in DNA, it can affect multiple body processes and “it wears many hats”, hence the diversity of symptoms it can trigger. Ironically, B12 deficiency is such a simple diagnosis to make and an equally simple one to remedy using readily-available supplements dissolved under the tongue. Numb or shaking hands and feet, paralysis, burning sensations etc. 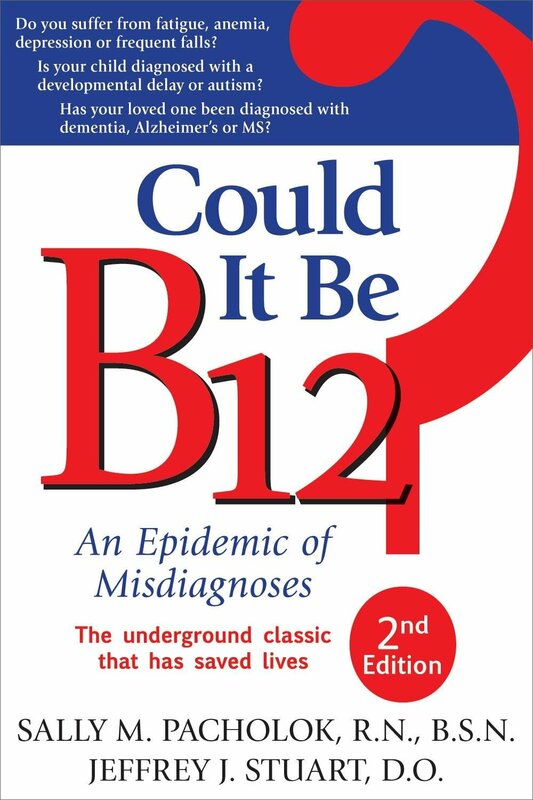 One such non-vegetarian who experienced chronic B12 deficiency for years is the co-author of “Could it be B12? An Epidemic in Misdiagnosis” Sally M Pacholok. Her book makes very interesting reading indeed – it seems there is an absolute epidemic of chronic health issues and other truly miserable health conditions, attributable to B12 deficiency, that typically get misdiagnosed for years or never quite “nailed” by health professionals trained to overlook this little, everyday cause. Her book addresses her own years of frustration, being shrugged off by the medical profession, and an array of case studies of others who eventually pinpointed a B12 shortfall and and recovered fully as a result. Within a few days, I honestly felt like I was enjoying a better, more sustained level of energy and brain clarity; the brain fog began to clear and I stopped feeling like I needed an afternoon nap straight after lunch. By mid December, I was feeling much more like my old self and had a good, active and ‘normal’ feeling Christmas. How much of this was down to B12 and how much due to other factors, like the natural pick-me-up I always enjoy once levels of light increase after “the shortest day” will have to remain open to speculation. However, I am still enjoying more sustained energy, by far, than in the autumn months and, if I feel the slump coming over me, I check whether I’ve taken my B12 today or take a little extra dose via the cream. I am still in the middle of my winter-challenge phase when pain levels are higher and energy levels more variable but I am far less crashed-out than I was before dosing with B12 and feel like I have my intellect back on board. If any of this sounds like you, it might be worth checking out and if you think you are getting low doses of B12 due to your diet – please – don’t let it linger, pounce on this information and get onto it as a priority as long-term depletion of this very important vitamin can have dire consequences for your health. To quote Dr. Joseph Chandy in his forward to Sally Pacholok’s book (now onto its second edition; the first one was greeted with huge enthusiasm, as long-overdue topics so often are) this information “speaks the truth, and in doing so it “gives life back” to those with B12 deficiency who were well on their way to losing the lives together”. It can do no harm to take this cheap and easily obtainable supplement to see if it makes a difference (I recommend doing so in the form of Methylcobalamin, see below*) and, as a family, we all take a daily dose now – with very positive results. Disclaimer: This website is not designed to, and should not be construed to, provide medical advice, professional diagnosis, opinion or treatment to you or any other individual, and is not intended as a substitute for medical or professional care and treatment.